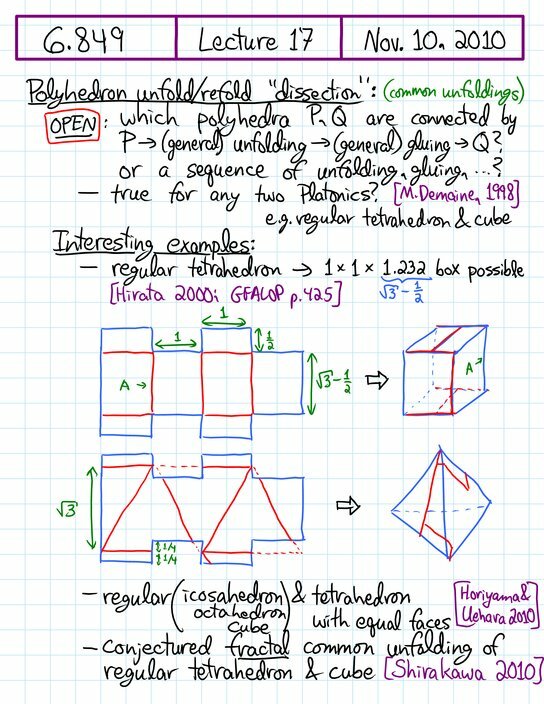 [+] Polyhedron refolding: Dissection-like open problem, regular tetrahedron to box, Platonic solids to tetrahedra, box to box, polycubes, orthogonal unfoldings with nonorthogonal foldings. 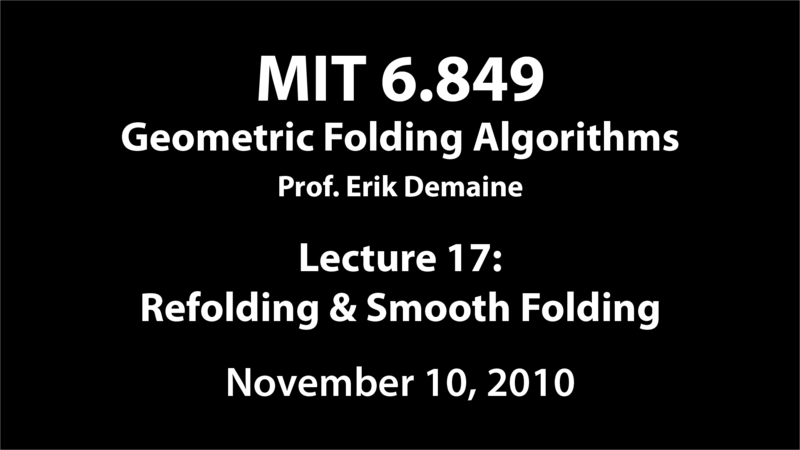 Smooth polyhedron folding: Smooth Alexandrov, D-forms, ribbon curves. Smooth polyhedron unfolding: Smooth prismatoids. 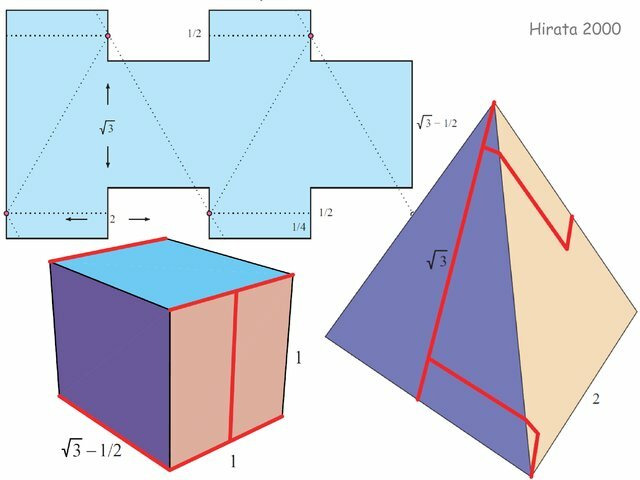 Smooth origami: wrapping smooth surfaces with flat paper, Mozartkugel, contractive mapping, Burago-Zalgaller Theorem (crinkling/crumpling), stretched path, stretched wrapping, source wrapping, strip wrapping, petal wrapping, comb wrapping, Pareto curve. The last section has practical applications to computational confectionery, reducing the material usage in wrappings of spherical chocolates such as Mozartkugel. Yum!